Rep. Kerry White, R-Bozeman, facilitated Friday’s meeting of any and all legislators concerned about AIS in Montana. Montana Fish, Wildlife and Parks displays an example of what aquatic invasive species look like. Here, mussels are encrusted on a pipe. 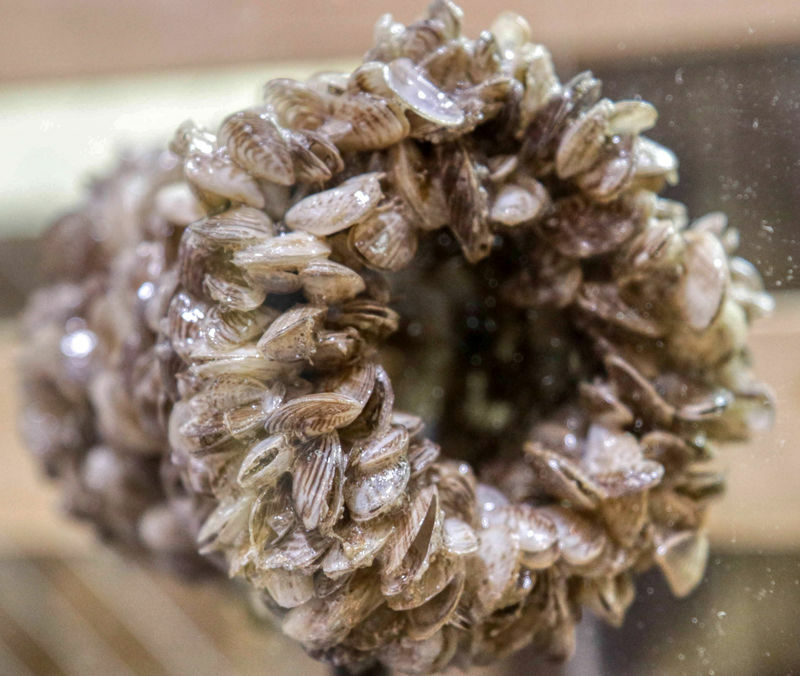 HELENA - A prolific alien organism is closing in on Montana’s ecosystem and could have dire consequences for food production, outdoor recreation and the economy if it crosses the state’s borders.